Welsh goalkeeper denied making a Nazi salute at a club celebration dinner. 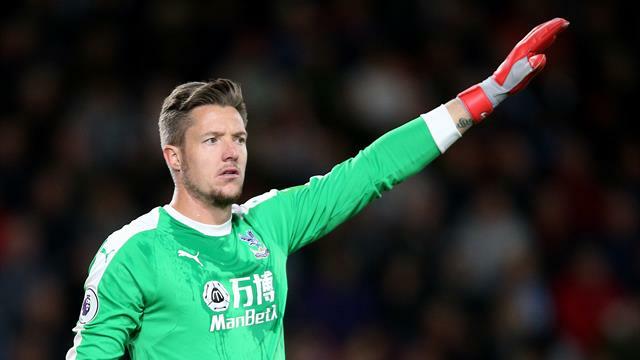 Wayne Hennessey has the full backing of Crystal Palace manager Roy Hodgson who insists the Wales goalkeeper did not make a Nazi salute during a night out. Hennessey appeared to perform the gesture in a picture posted on Instagram by Eagles team-mate Max Meyer as the players celebrated their FA Cup win against Grimsby on Saturday. The 31-year-old denied doing so, instead claiming on Twitter that he was calling out to the person taking the photograph “to get on with it” and “at the same time put my hand over my mouth to make the sound carry”. The Football Association is looking into the incident, but Hodgson is convinced by the player’s explanation. “I believe him totally. I have no reason to disbelieve him,” the Palace boss said. “The other players had no awareness of anything inappropriate, so much so that they had no idea before the photo was posted that it had happened. Hodgson also delivered an emphatic response to Jermain Defoe’s claim that he rejected a move to Selhurst Park in favour of joining Rangers. Palace are in the market for a striker during the January transfer window after dominating a string of recent games without scoring sufficient goals, but Hodgson insists Defoe was not on the club’s radar. “That’s not true. We had no interest in Jermain Defoe. As with a number of strikers, I saw Defoe’s name mentioned in relation to the club,” Hodgson said. “But it’s one thing people relating players to us because they’re anxious to find a move for them and it’s another for our club to initiate moves to sign someone. We state categorically that we’ve made no move at all to sign Jermain. After struggling to dispatch 10-man Grimsby last Saturday, Palace resume their Premier League campaign against Watford at Selhurst Park. It is the first meeting between the rivals since Troy Deeney revealed that the Hornets “took it in turns” to kick and foul Wilfried Zaha in August as part of a plan designed to contain the Eagles forward. In the same match, Zaha was the victim of a controversial tackle by Etienne Capoue. “At the time I made of the comments what everyone else in football made of them – Troy is a very honest guy but I don’t think it was a wise thing to say,” Hodgson said. “I’m pretty certain that when I see Troy (on Saturday) – I always have a very friendly meeting with him before the game as he’s the opposing captain – and ask him about the comment, I’m certain the first thing he’d say is that it was a mistake.